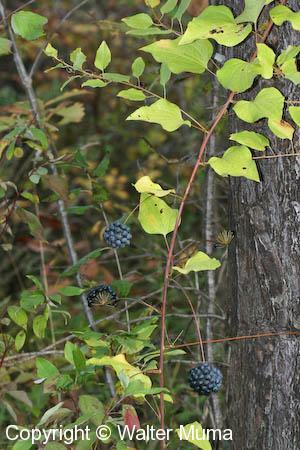 Distinctive features: Upright vine with clusters of greenish flowers which turn into clusters of dark blue fruit. 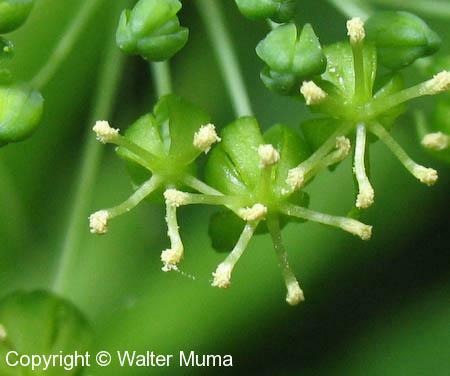  Carrion Flower (Smilax lasioneura) - Very similar. 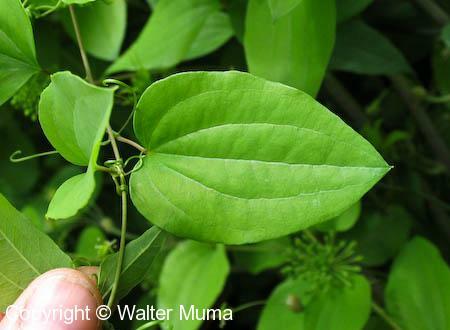  Upright Carrion Flower (Smilax ecirrata) - Very similar. 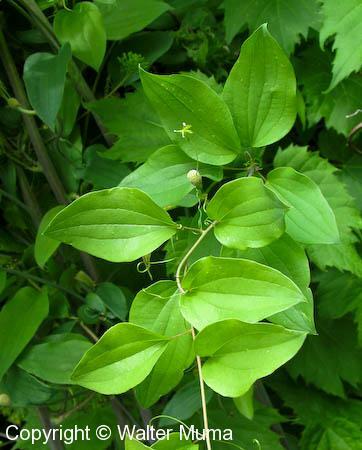  Illinois Carrion Flower (Smilax illinoensis) - Very similar. Flowers: Summer; Green/Brown; 6 parts (petals); This species is named Carrion Flower for a reason: the flowers do indeed smell like carrion! 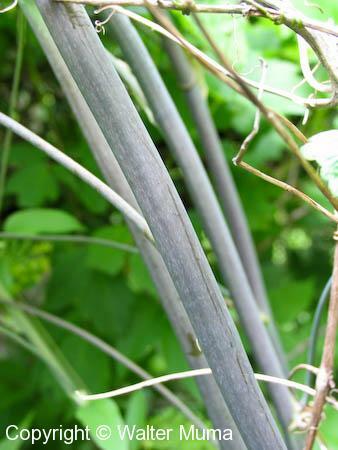 Stem: The stem is sometimes glaucous (has a light coating on it that is easily rubbed off). Photographs: 64 photographs available, of which 12 are featured on this page. SCROLL DOWN FOR PHOTOGRAPHS. This and the next photo show an overall view of a Carrion Flower. Carrion Flower flowers in mid-June. 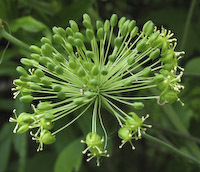 Closeup view of the greenish flowers. Fruit of Carrion Flower. 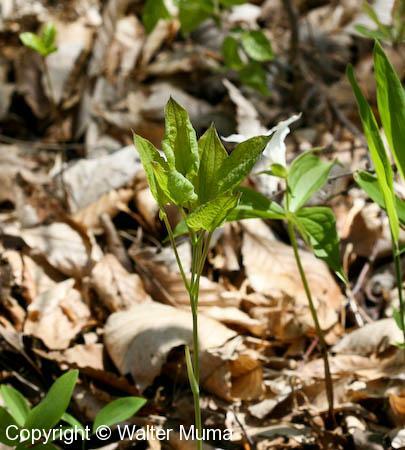 The bright blue colour stands out in the woods. Sometimes they last into the winter with this colour. However, more often than not the fruit of Carrion Flower dries out with the onset of winter. And is often completely gone by the end of winter (March). Photo of the stem of Carrion Flower, which is glaucous.